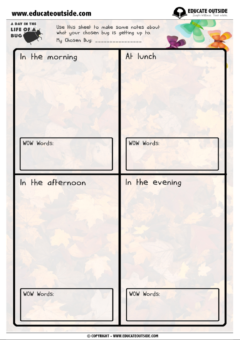 This diary writing & research project is a great way to get your class learning about and having fun with first person narrative in the form of diary writing (recounts) outdoors. 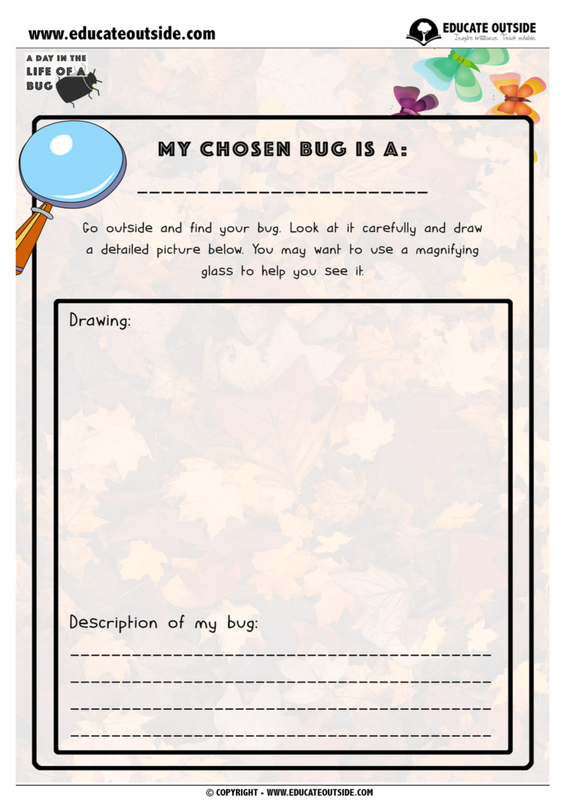 Your class are to choose a minibeast and spend a few days finding, exploring, and researching their chosen minibeast. 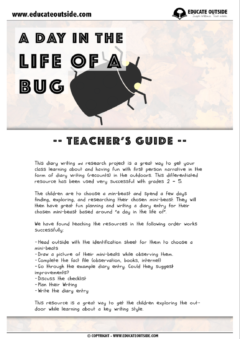 They will then have great fun planning and writing a diary entry for their chosen minibeast based around ‘A day in the life of’. 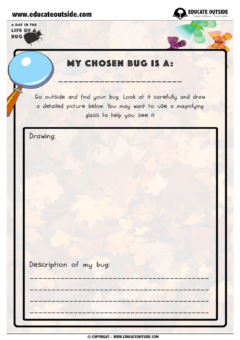 2 x differentiated drawing sheets. 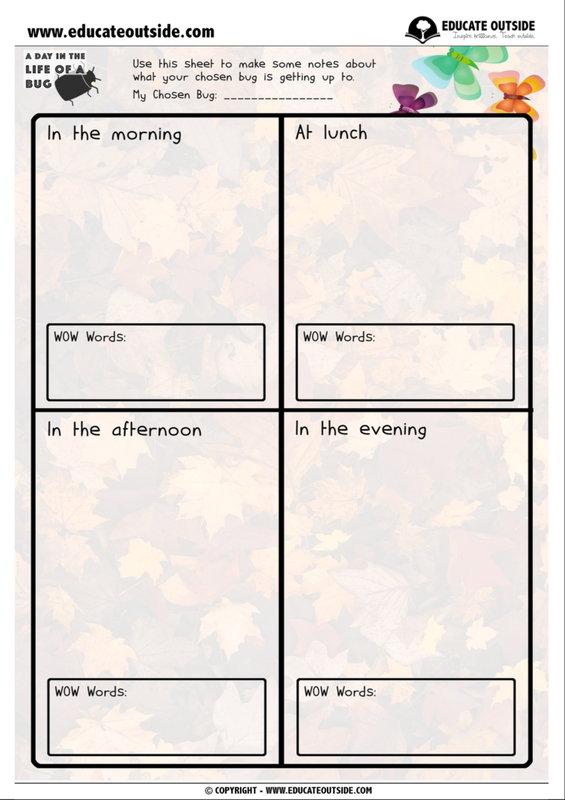 2x differentiated diary writing templates.